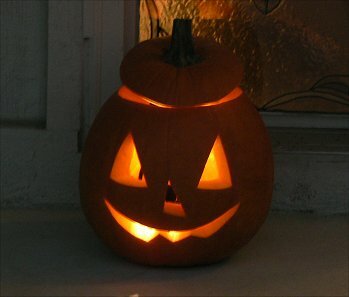 For show number two I record some sounds of the Halloween Holiday. Trick or treaters and me having some fun on this very windy Halloween night. Hope you enjoy it! The new podcast is listed on iTunes now. So click the link below and subscribe today! Just put up a quick intro show for Podcast # 1. I just give everyone a brief idea about what this podcast is going to be about and chat for awhile. I have quite a few ideas for the first shows coming up over the next several weeks. So I hope you stick with me and see where this all goes. I have submitted the podcast to iTunes and the show should be up there shortly. The feed for the show is this: http://www.atticofmymind.com/podcasts.xml But that’s not real important for now. If you want to just download this first show manually right click and save HERE. Or you can use this handy player below and listen to it streaming on the page right now. For over two years I have been putting out the weekly “TREKS in SCI-FI” podcast. I love doing the show and will continue it, bringing the latest in “Star Trek” and Sci-Fi news and commentary each week. But lately I have been itching to try something a bit new. And this is it. My new “Attic of my Mind” Podcast and Blog. I wanted a new avenue to talk about things more outside the Sci-Fi and entertainment field. The idea with this show will be to just create short segments say about once a week or whenever I get the urge. This will generally be quick audio segments (maybe video at times) on what is going through my mind on any given day. Comments about life, things I like, things I don’t like, things that could be better, etc. Kind of a running commentary on how I see the world around me. I plan on doing these recordings wherever I happen to be. At home, in my car, at work, out to lunch, at the movies, etc. I’m going to try and make this show spontaneous and fun! I hope. So stay tuned – I think this is going to be a blast!